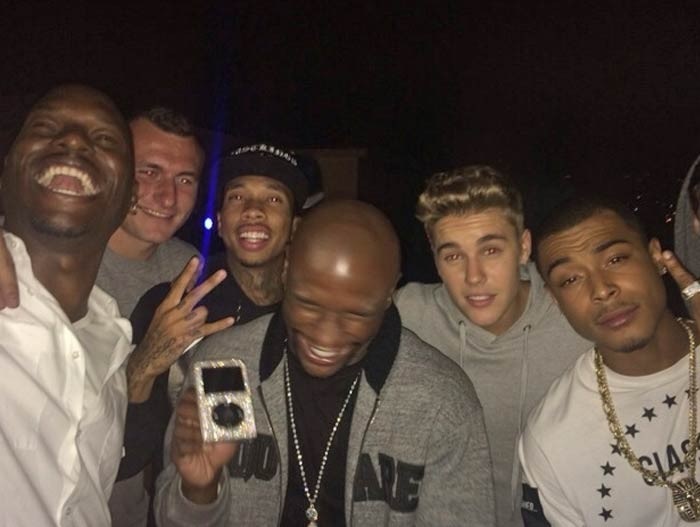 Johnny Manziel continues to party and this time its with other high profile celebrities. Manziel was among group that included Floyd Mayweather, Tyrese, Tyga, Chantel Jeffries and others at the home of Justin Bieber in Beverly Hills reports TMZ. We know this because the cops were called early Tuesday in regards to a noise complaint. The group lowered the music but it was not long before a group of girls showed up outside the home making noise which forced the police to return.